#23. 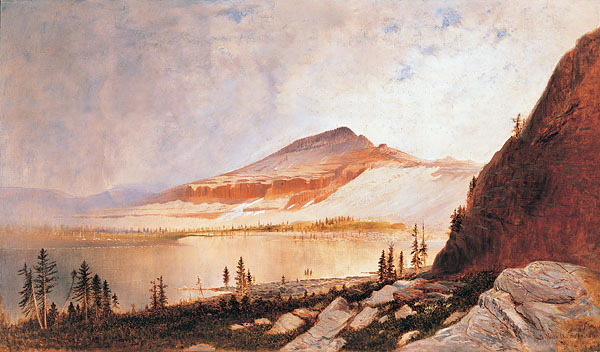 Lake Lall and Mount Agassiz, Uinta Range, Utah. 26 x 44, oil on canvas. "Gilbert Munger 1871" lower right. Similar to painting #30. Purchased by the Merrill Gross collection of Wyoming Ohio from a book shop in Mansfield Ohio in 1969. Sold by his son Spencer Gross of San Francisco via Montgomery Gallery, San Francisco, in 1994 to a private collection. IAP 91700126. QFD 19. Advertised by Merrill Gross in Apollo Magazine in May 1975. 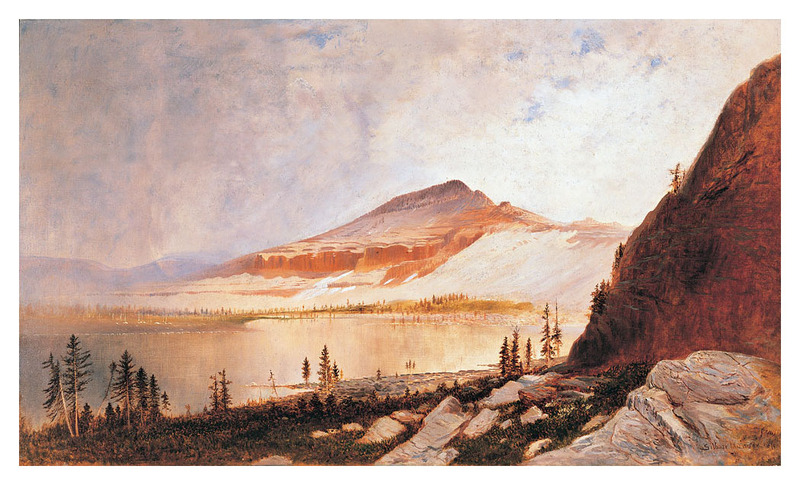 See also The Rocky Mountains: a Vision for Artists in the 19th Century by Trenton and Hassrick, Univ. of Oklahoma Press, p. 159. Image from Montgomery Gallery transparency.